Jaceks a courageous man – and the last hope to save his sister, who wilts away from an untreatable disease. He must find a cure. Jacek combines Artificial Intelligence with the gene-editing technique, CRISPR CAS 9, to stop the disease from killing her. Now with a cure in sight, funding cuts threaten to eliminate his work. An alt-right research assistant will protect his country at all costs. He refuses to stand by any longer while minorities take jobs and destroy America. He has the final solution – racial extermination. Once completing his secret work, America will get reduced to the one true race. 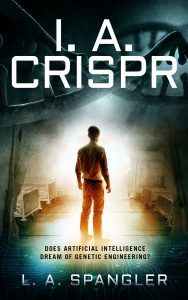 Now Jacek must choose – crack the genetic code to save his sister or stop a bio-terrorist genocide?